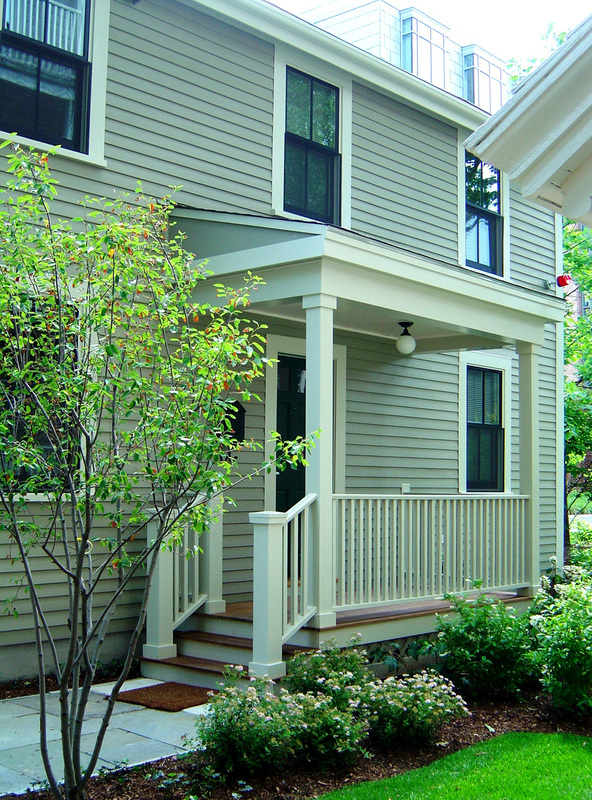 In May, 2009, 2 Grant St became Harvard’s first LEED Platinum residential house. The house itself was originally constructed in 1867, and is considered a historic structure. In 2008, the house was relocated and now sits partly above the underground parking garage of the neighboring residence hall 5 Cowperthwaite. Following this move, the house underwent a complete renovation that maintained the house’s historic aspect while revitalizing the space and transforming it into a model of sustainability. One of the most important environmental aspects of the house is its size. This 2 bedroom single family house has only 1,000 sq ft of floor space, and sits on lot that is only 3/100ths of an acre (1,307 sq ft). This small size reduced the amount of materials needed during the renovation, and reduces the amount of energy needed to heat, cool, and power the space.